With this year’s prospect camp in the rear view mirror, it’s worth a moment to look back and see how the 2010 Stanley Cup roster shaped the camp, and the future of the Hawks moving forward. Over 13 months following the Cup win in 2010, seven trades sent nine players from the Cup roster (11 total) out of the Chicago system. These moves afforded the Blackhawks cap space needed to fill out a roster while keeping their young core intact, but came at the expense of some fan favorites. Let’s look back at the trades that dismantled the 2010 Blackhawks, and how they’re impacting the next generation in Chicago. The two names most recognize in this deal are Versteeg and Stalberg. Versteeg has dealt with a few injuries since leaving town, while Stalberg is now on his way to Nashville with a nice new contract from the Preds. But how did the Hawks make out in this trade? In the three seasons since the trade, Versteeg has played for the Leafs, Flyers and Panthers. He has scored 46 goals with 58 assists for 104 total points, with his best season coming in 2011-12 in Florida, when he registered 23 goals and 31 assists. 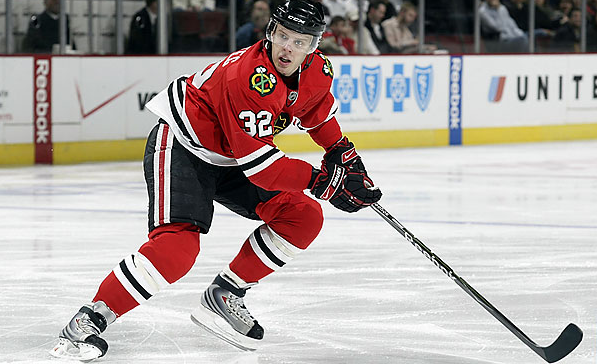 In the three seasons he was in Chicago, Stalberg has nearly matched Versteeg’s scoring total. Stalberg scored 43 goals and added 47 assists for 90 total points while a member of the Blackhawks, peaking with 22 goals and 21 assists during the 2011-12 season. Both players signed a new deal during the last three seasons. The net difference to the Hawks over those three years: 14 points. And their savings against the cap: $7,966,666 total. Of the three minor leaguers involved in this deal, only Sweatt has played in the NHL… and he’s only seen action in three games. He was a free agent-to-be that summer who wasn’t in the future plans of the Hawks anyway. Obviously this deal isn’t as easy to dissect as the Versteeg-Stalberg deal, largely because the three key pieces of the trade from Chicago’s perspective – Morin, Kevin Hayes and Holl – haven’t seen much (or any) time in Chicago yet. 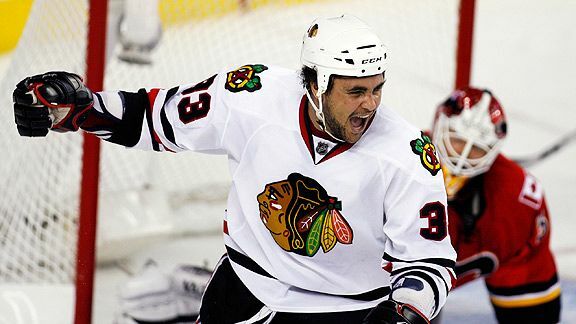 Since the deal, playing as a defenseman, Byfuglien has scored 40 goals and added 104 assists with the Thrashers/Jets. Eager has 16 goals and 16 assists in 145 total games at the NHL level, while Sopel had seven points in 71 games between Atlanta and Montreal before spending the last two seasons in the KHL. Aliu, a prospect that fell out of favor with the organization, has two goals and one assist in seven NHL games with the Calgary Flames over the last two seasons. Over the last three seasons, Morin has played in 15 games with the Blackhawks, scoring three goals and adding two assists. Kevin Hayes and Holl will be back at Boston College and the University of Minnesota, respectively, this year for their final collegiate campaigns. Fraser won a second ring with the LA Kings in 2012, while Hofflin hasn’t played in the NHL yet. The Blackhawks needed a puck-moving defenseman that summer, planning ahead for the inevitable departure of Brian Campbell. Little did everyone – including management – know that the kid that would step into the void when Campbell was hurt during the 2010-11 season and eventually replace him full-time would be Nick Leddy, not Vishnevskiy. Vishnevskiy never played an NHL game with the Hawks; after 46 games in Rockford, he has been in the KHL for the last two seasons. However, what makes this deal intriguing is Clendening; the organization holds him in the highest regard, and expects him to be part of the core on the blue line in the not-too-distant future. He was selected with a second round pick acquired in the Ladd deal, and may ultimately pay dividends as the defenseman the Hawks wanted/needed in this trade. At the 2011 Draft, the Hawks traded the negotiating rights to Brouwer to the Capitals for a pick late in the first round, which they used on Danault. Considered by many to be a potential second line center with fantastic hockey instincts, Danault is one of the top prospects in the organization now and will make the move to Rockford to begin this season. Like Clendening, the organization hopes he is part of the next generation of core players at the NHL level soon. Brouwer has had two good seasons in Washington, scoring 37 goals and adding 29 assists. In 2012-13, he matched his 82-game production (33 points) from the previous season and scored 19 goals in only 47 games. This trade bought cap space, nothing more. Olesz was a compliance buyout already this summer; Campbell continues to play at a high level for the Panthers (while making lots of money). The Hawks traded the negotiating rights to Kopecky to Florida for a seventh round pick, which they flipped to Buffalo for the rights to negotiate with Montador. 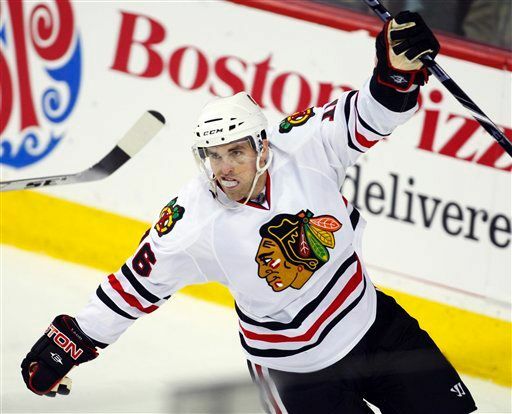 Montador was a useful defenseman before concussions may have ended his career; he had five goals and nine assists in 52 games with the Blackhawks during the 2011-12 season, but hasn’t played in an NHL game in more than a year. He did skate in 14 games with the IceHogs this year, but was a compliance buyout this summer. Kopecky had arguably his best NHL season with Florida after the lockout this year, tying a career-high with 15 goals in only 47 games. He has 59 points in 127 games with the Panthers since signing a four-year, $12M deal with the Panthers after being dealt out of Chicago. I know we opened by saying seven trades and this is the eighth; it’s impossible to say how this deal can/will work out for either side moving forward. But indications at last week’s prospect camp are that Dahlström and Norell are two quality defensemen, and the Hawks have an extra fourth round pick in next summer’s draft to use as well. What a great analysis. Ladd, indeed, was the one that got away, but pretty astute dealing by SB otherwise. Many of the writers to your blog, including me, agree that Ladd is the biggest loss, even before his game elevated even more on the Jets. The Hawks gave up something they were in short supply the following two years. A tough hard nosed forward with skills are hard to come by. The Jets are a team on the rise with a great young captain. I have no doubt Ladd will get another ring for the third time on his third team. Like our captain, he is a winner. Training camp is 61 days away. Let’s do it all over, again!!!! Does trade deadline not count? 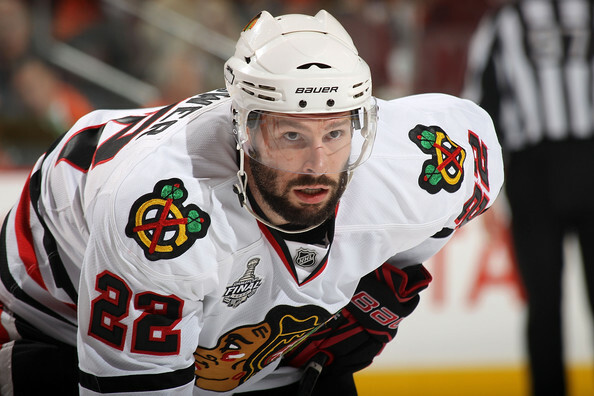 What did the ‘Hawks “give up” to get Handzus and Oduya after those picks were made? 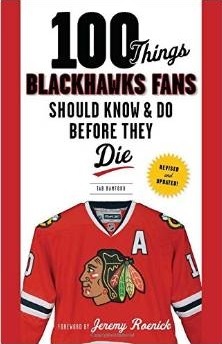 Dean: If you read the title of the article, this was about trades involving the 2010 team… Handzus & Oduya weren’t members of the team that won the Cup in 2010. The Blackhawks gave up nothing to get Handzus. We’ve talked about that moved on a number of occasions since the deadline, but Bowman traded San Jose’s fourth round pick back to the Sharks for Handzus. The Hawks gave up a 2nd + 3rd in the 2013 Draft to get Oduya from Winnipeg. We won’t know how those moves turn out until a couple years from now, but the Hawks successfully moved back into those rounds (higher than their slot at the end of each round) by trading Bolland (to Toronto) and Frolik (to Winnipeg). 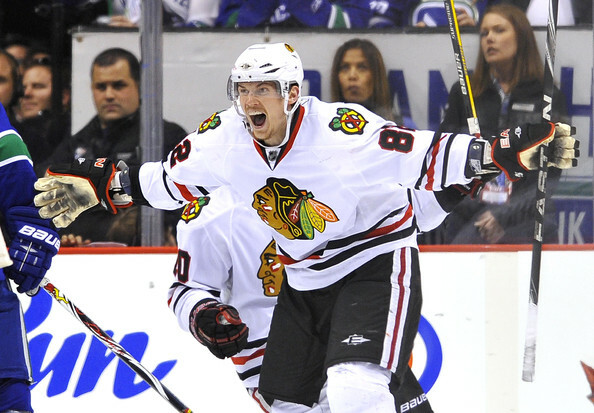 Hawks traded Carcillo to the Kings. Didn’t say what the draft pick was. To add to what Wall said, if we want could have one of the .900 guys (thats not in the lineup fulltime) and have 3.3 at deadline. That’s another great article Tab…thank you. 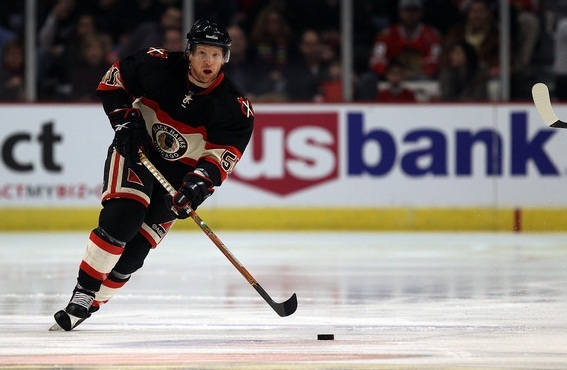 As to Ladd, yep, it was tough to give up Andrew, but think of this…if we hadn’t, Bryan Bickell may never have been given as many chances as he got to be the player he became this year…also, I have watched Clendening a lot in Rockford, and I can tell you, he warrants the hype the Hawks organization gives him. He was a record setter and AHL All Star as a rookie this past year at Rockford. He’s a PP QB, a great skater and physically very strong to play defence. So right now it looks like a lop sided deal against us, but we won another Cup without Andrew, depended upon Bickell and he is now a legitimate power forward, and have Adam Clendening…I’m not sure if I had to do it again, I would change it. The 2 other trades to comment on, are Big Buff and Bolland…the players in the deal with Buff could make us forget him…there is some serious talent in that group and I think Morin is going to have a very good year in the bigs and will become a legitimate power forward. The players for Bolly are outstanding…Dahlstrom is going to make a very good DMan (in 2 to 3 years time) and Norell could become a star in the NHL if he continues to grow and strengthen…he has a lot of talent. Personal opinion: I like Pirri at the NHL level more than LeBlanc right now. From what I’ve seen of the two (which is admittedly a lot more of Pirri than LeBlanc), LeBlanc needs some time in Rockford but Pirri has done enough w/ the IceHogs to get a call. 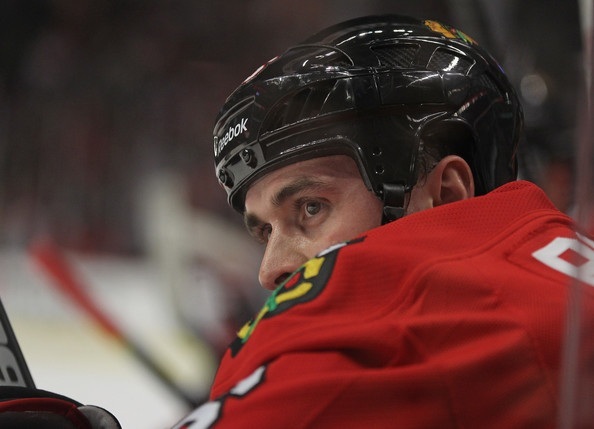 … because Dave Bolland was on the team in 2010….? Oh I thought the article was referring to the trades made that year, you meant just anyone on that roster. Note: Tomas Kopecky, Brian Campbell & Troy Brouwer weren’t dealt in the summer of 2010 either. Interesting that you mention Kopecky Tab, I think Frolik is going to blossom in the PEG similar to Kopecky in FLA. You hate to trade character guys like these, but both moves had to be made. re: Brad – Kopecky & Frolik were both means to an end. They each came into a great situation in Chicago and flourished in the roles they were given, but to different degrees. Frolik was a scorer that developed into a shut-down PK specialist; Kopecky was a physical bottom-six guy that found an offensive game. Both benefited from their time here. And Bowman did a nice job of using each to help the organization. Kopecky was flipped into Montador, and Frolik brought in draft depth. This is how championship organizations do business. It’s amazing every day how far removed we are from the Dollar Bill/Pulford days. I kinda miss the days when Tab would crush Kopecky on his blog.